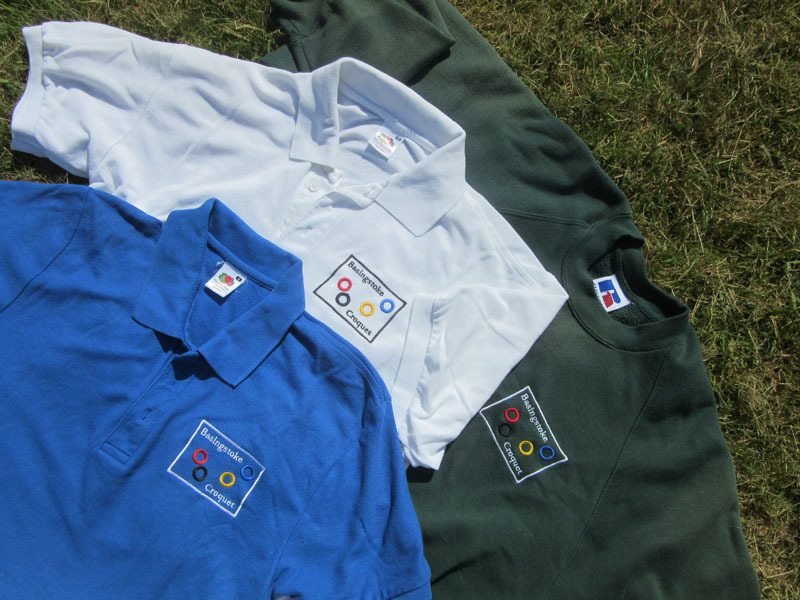 A local firm, Cotton Graphics, offers a wide range of leisure wear on which the “Basingstoke Croquet” logo can be embroidered at no extra cost. This is suitable for both Club and U3A members. Select what you want and ask for the “Basingstoke Croquet” logo: you will need to specify the white border (for coloured items) or the black border (for white items).